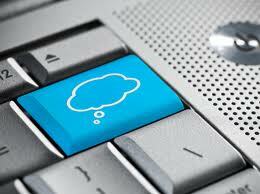 Hoping you have done your homework in interest to my previous article on cloud based data backup recovery. Which process can you use to conclude that cloud-based data backup and recovery is right for your organization? As a Project Engineer I will make sure your business stakeholder knows why you are doing it and that it’s not something new and which is internally focused practice. Some people inside the organization will question, or even outright argue with IT, whether it’s smart and safe to use a cloud provider to back up such essential data. In the TechTarget research, 72 percent of the respondents say security is a significant concern in moving to cloud-based data backup and recovery making it the number-one challenge. After explaining to them the benefits of cloud environments and the safeguards involved, remind them that your company has outsourced a wide variety of functions for many years. “Chances are that the company has outsourced payroll, benefits administration, IT help desk and numerous other business activities for quite some time,” notes George Crump, president of Storage Switzerland, an Austin, Texas-based storage consulting firm. Your move to cloud-based storage may succeed without getting business stakeholders on board early, but you’ll have a much easier time going forward if they’re behind you from day one.